HERTCO Express 3.0 cabinet cases are built with textured white melamine overlaid 5/8”industrial grade particleboard with glue and dowel construction. The case edges are taped with PVC which is applied with hot melt glue. Standard case tape color selections are listed on each door style page. Note: Bottom edges of wall cabinet finished ends are taped white PVC. Cases are not available with laminate or wood veneer edges. All cabinets have full depth 5/8” adjustable shelves or fixed shelves where indicated. Base cabinets are constructed for “built-up” countertops. Toekicks are integral and unfinished. Drawer boxes are made with 5/8” industrial grade particle board that is laminated on two sides with white melamine. Exposed edges are laminated with white PVC edge banding. Drawer bottoms are 1/4" medium density fiberboard that is laminated on one side with melamine to provide a high wear resistant and durable surface. 6-way adjustment. Drawer hardware features 75 pound dynamic load capacity with a 3/4 extension. Drawer box and hardware upgrades are available. Aimtoo Savatre Melamine: is used for parts and finished ends where specified for cabinets with Fremont Aimtoo Savatre doors. Laminate toe kick corresponds to Pionite WC115. Please refer to samples prior to ordering. Amber Cherry Melamine: is used for parts and finished ends where specified for cabinets with 1900 Clear Alder Cinnamon, Flopan Clear Alder Cinnamon, Riviera Clear Alder Cinnamon and Royal Clear Alder Cinnamon doors. Laminate toe kick corresponds to Wilsonart Amber Cherry 7919-78. Please refer to samples prior to ordering. 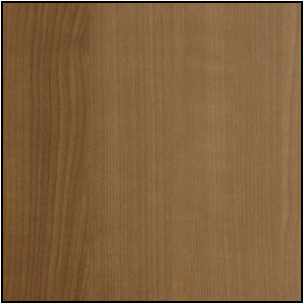 Ashburn Cherry Melamine: is used for parts and finished ends where specified for cabinets with Fremont Cherry doors. Laminate toe kick corresponds to Pionite Sunset Suede HP336. Please refer to samples prior to ordering. Espresso, Royal Clear Alder Espresso and Zuni Chocolate Pear doors. Laminate toe kick corresponds to Arborite Chocolate Pear Tree W444-VL. Please refer to samples prior to ordering. 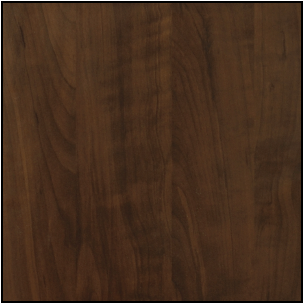 Majestic Walnut Melamine: is used for parts and finished ends where specified for cabinets with Majestic Walnut doors. Laminate toe kick corresponds to Formica Cognac Maple 7738-58. Please refer to samples prior to ordering. Maple Melamine: is used for parts and finished ends where specified for cabinets with Fremont Maple, 1900 Maple, Flopan Maple, Riviera Maple and Royal Maple doors. Laminate toe kick corresponds to Wilsonart Fusion Maple 7909-60. Please refer to samples prior to ordering. Pacific Maple Melamine: is used for parts and finished ends where specified for cabinets with 1900 Clear Alder Honey, Flopan Clear Alder Honey, Riviera Clear Alder Honey, and Royal Clear Alder Honey doors. Laminate toe kick corresponds to Arborite Candlelight W421-CA. Please refer to samples prior to ordering. 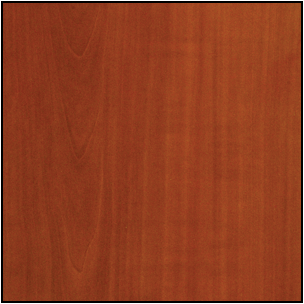 Rustic Cherry Melamine: is used for parts and finished ends where specified for cabinets with Rustic Cherry doors. Laminate toe kick corresponds to Arborite Rustic Cherry T-521. Please refer to samples prior to ordering. Trytoo Savatre Melamine: is used for parts and finished ends where specified for cabinets with Fremont Trytoo Savatre doors. Laminate toe kick corresponds to Pionite WC105. Please refer to samples prior to ordering. White Melamine: is used for parts and finished ends where specified for cabinets with Fremont White, Rainier White #120, Montreaux White #120, Osage White #120, Coeur D’Alene White#120 and 1900 Painted Wood Superwhite doors. Laminate toe kick corresponds to Wilsonart Frosty White 1573-60. Please refer to samples prior to ordering. 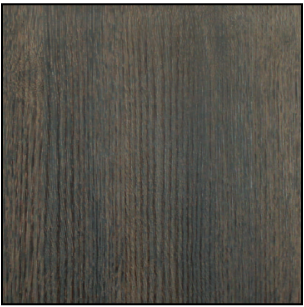 Woodline Ebony Melamine: is used for parts and finished ends where specified for cabinets with Woodline Ebony doors. Laminate toe kick corresponds to Ebony Thermo Structured Surface Laminate. Please refer to samples prior to ordering. 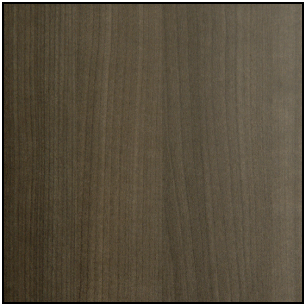 Woodline Shadow Grey Melamine: is used for parts and finished ends where specified for cabinets with Woodline Shadow Grey doors. Laminate toe kick corresponds to Shadow Grey Thermo Structured Surface Laminate. Please refer to samples prior to ordering. Woodline Teak Melamine: is used for parts and finished ends where specified for cabinets with Woodline Teak doors. Laminate toe kick corresponds to Teak Thermo Structured Surface Laminate. Please refer to samples prior to ordering. 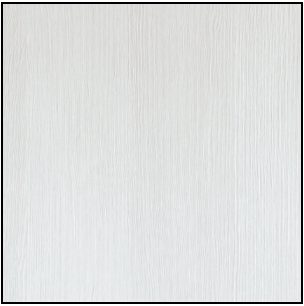 Woodline White Melamine: is used for parts and finished ends where specified for cabinets with Woodline White doors. Laminate toe kick corresponds to White Thermo Structured Surface Laminate. Please refer to samples prior to ordering. 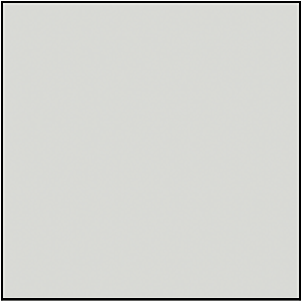 1900 Painted Wood Fog Gray Melamine: is used for parts and finished ends where specified for cabinets with 1900 Painted Wood Fog Gray doors. Laminate toe kick corresponds to Fog Gray Laminate. Please refer to samples prior to ordering. 1900 Painted Wood Folkstone Gray Melamine: is used for parts and finished ends where specified for cabinets with 1900 Painted Wood Folkstone Gray doors. Laminate toe kick corresponds to Folkstone Gray Laminate. Please refer to samples prior to ordering.